Janie's Pocono Mountain Garden: View The Flowers In The Merry Old Land Of OZ! 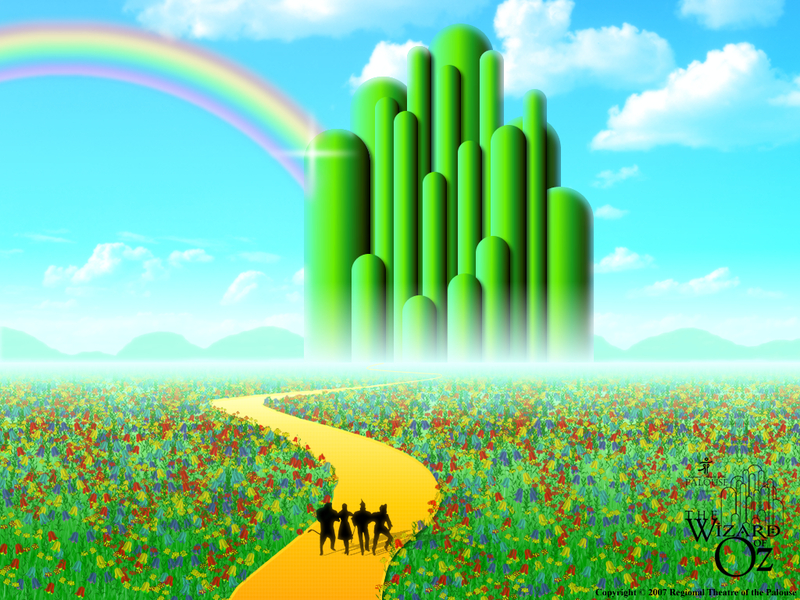 View The Flowers In The Merry Old Land Of OZ! Thanksgiving Day is almost upon us. Along with the traditional turkey, stuffing, and pumpkin pie, another annual staple of the holiday is the televison viewing of the The Wizard Of Oz. 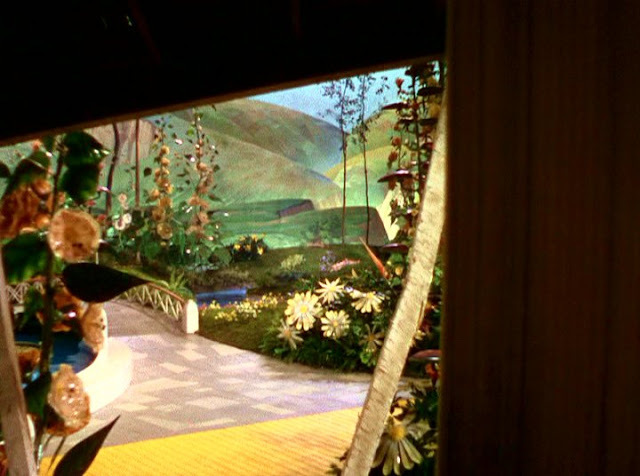 As most people know, in the film The Wizard of Oz, after Dorothy's house tumbles out of the sky and lands in Munchkinland, she slowly opens the front door to be met with an enchantingly beautiful colorful vista of trees, plants, and ... flowers! Funny, but until a few years ago I never really took notice of the particular flowers dotting the landscape of OZ. This was the first time I had ever looked at them from a gardener's perspective. 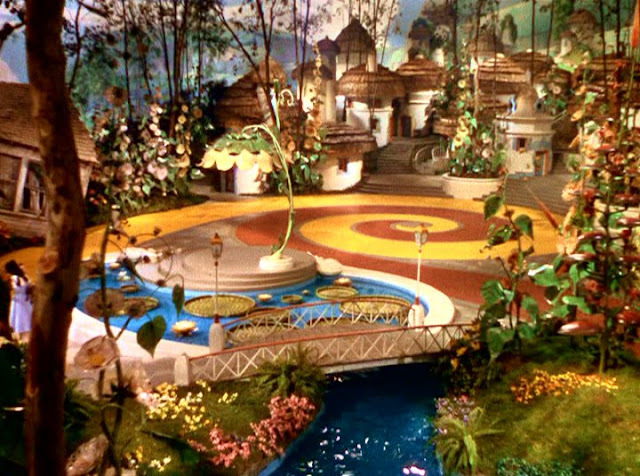 My fellow gardeners, do you see the Hollyhocks and giant Sunflower on the top left? How about the flowers and ferns along the edge of the bridge? 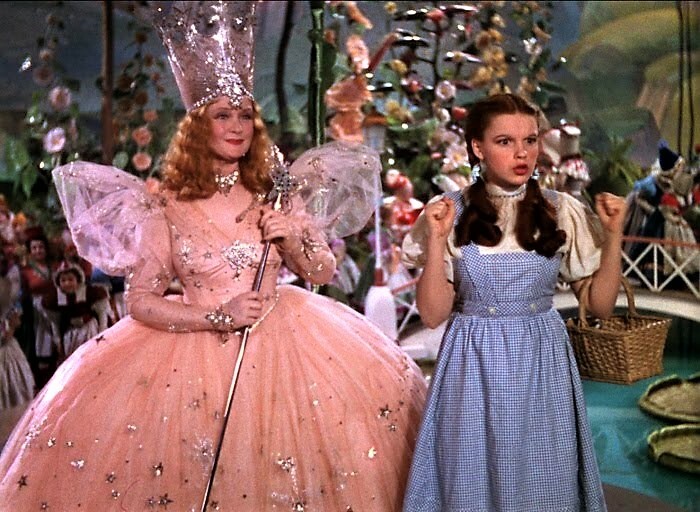 Here's an even better view of the Hollyhocks in the background behind Dorothy and the Good Witch, Glinda. 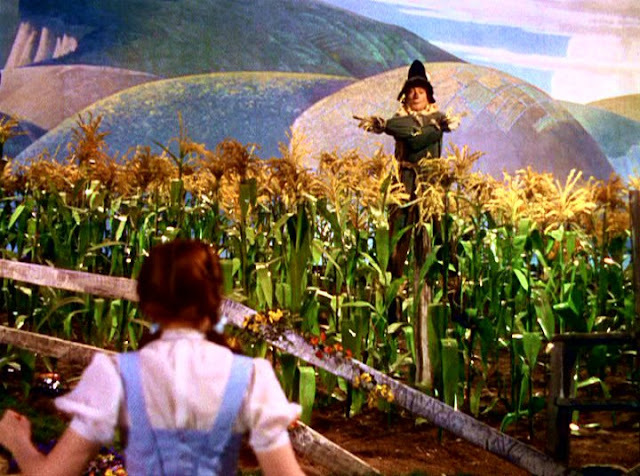 Dorothy's first meeting with the Scarecrow ... in a cornfield, of course! Notice the flowers on the wood rail? 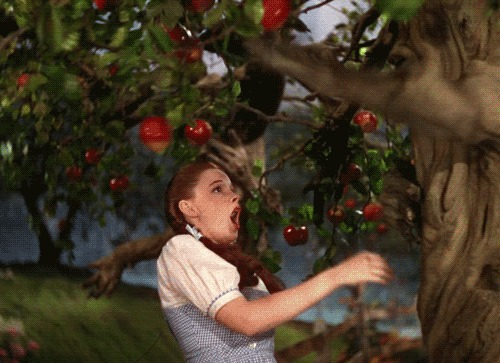 We all know about the apple orchard, of course. Aren't they just the most scrumptious looking apples you ever saw? 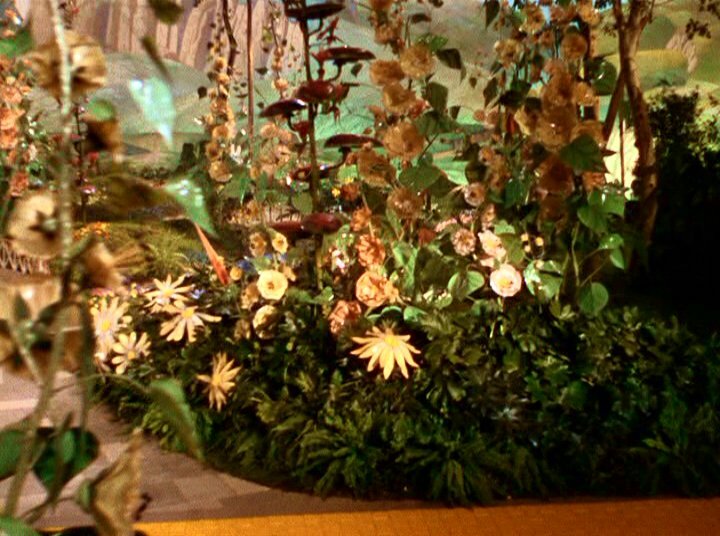 More pretty flowers along the Yellow Brick Road. 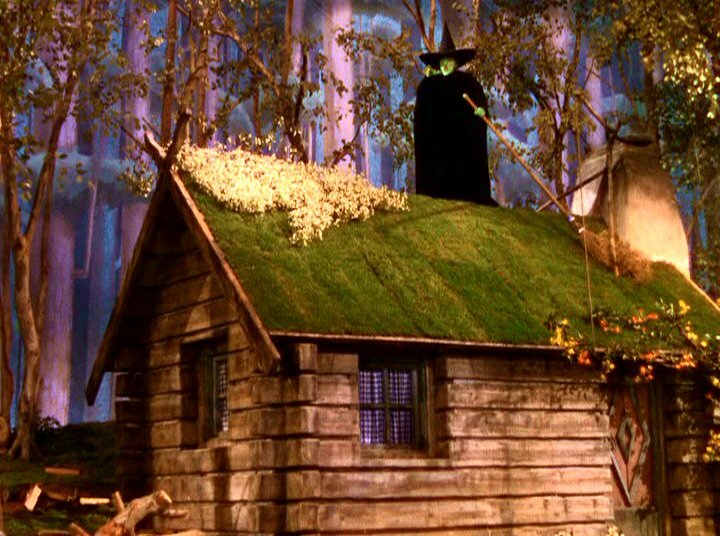 Even Dorothy's 2nd meeting with the Wicked Witch of the East was not without a touch of pretty flowers on the roof of the little cottage in the woods. 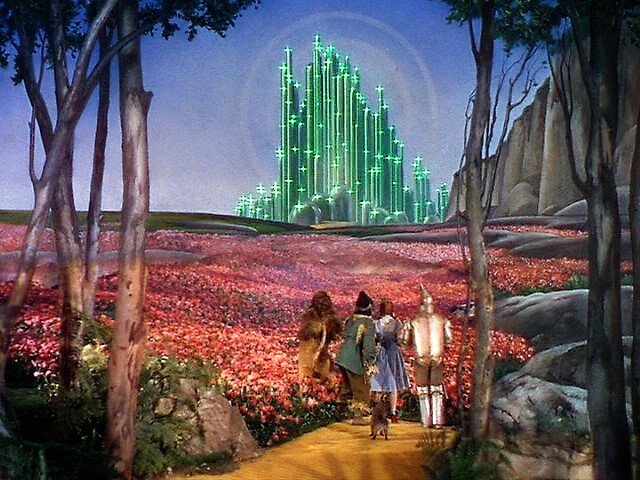 Of course, there's the field of beautiful poppies as Dorothy and her companions begin their journey to the Emerald City to see the Wizard himself. 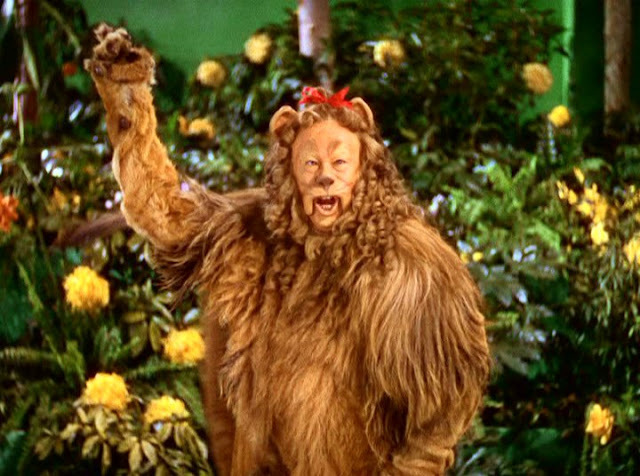 In the Emerald City, even the Cowardly Lion stopped to pose before a lovely floral display!